Handmade Pet Tie-On Custom Bandana. Machine washable and durable. 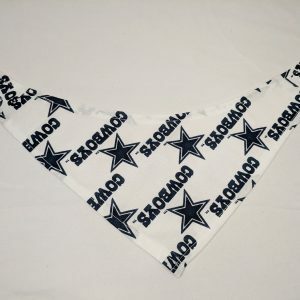 Please contact us BEFORE ordering a custom bandana to ensure we can assist you. Charlie’s Treats Bakery can make a Custom Bandana for any variety of pet! From flowers to holidays and sports teams, we got you covered! To get a custom bandana, contact us and ask! How to order a Custom Bandana! 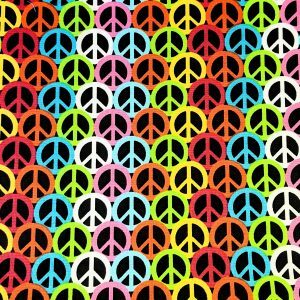 Contact us, asking for your specific bandana pattern or theme! We will work with you to create your perfect bandana! 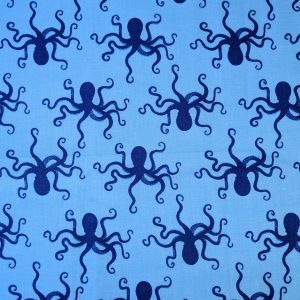 Once you approve the type, size and number of bandanas you want to order, come back to this page! Add the predetermined number of bandanas to your cart and checkout! 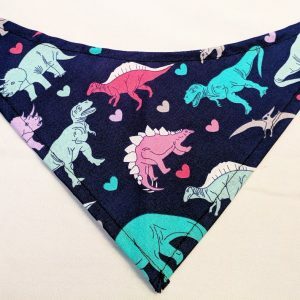 We guarantee our handmade bandanas will last! We only use the best fabric to ensure pets of every energy level enjoy our product. 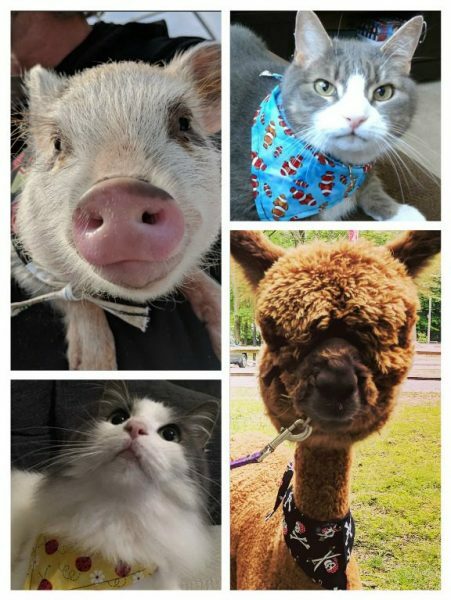 These fashion statements have a curved neck to cradle your pet’s neck without chaffing! In addition, the rolled seams won’t fray when machine washed. The tie-on style also lets you decide the exact size. Finally, you can wear it with a harness, a collar or by itself. 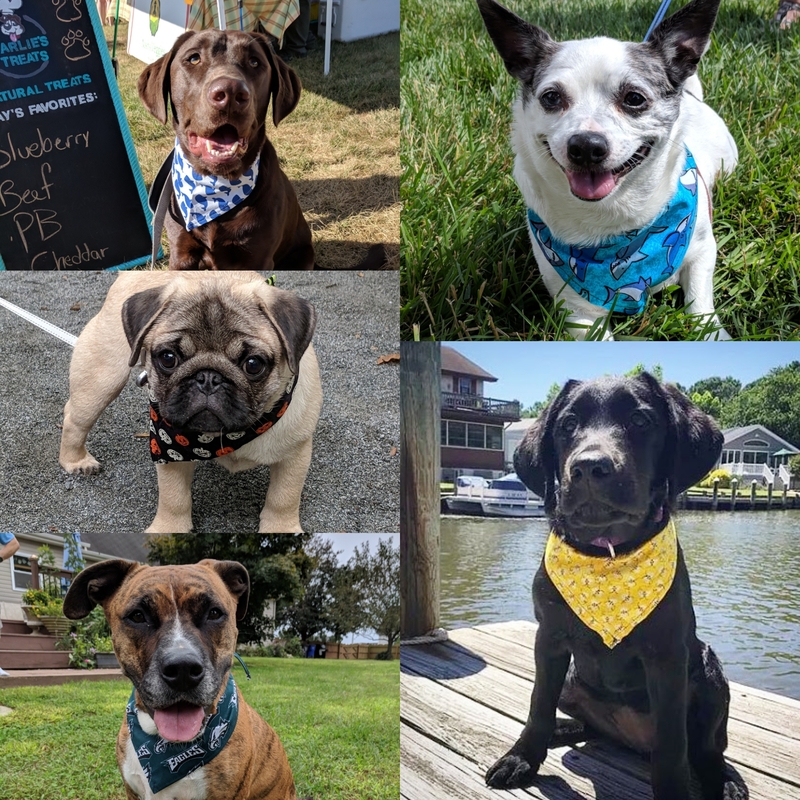 Our light-weight bandanas are a perfect fit for every pet! Want to find more cool bandanas? Visit our store to find more! Large – 31"x7", Small – 22"x5.5"